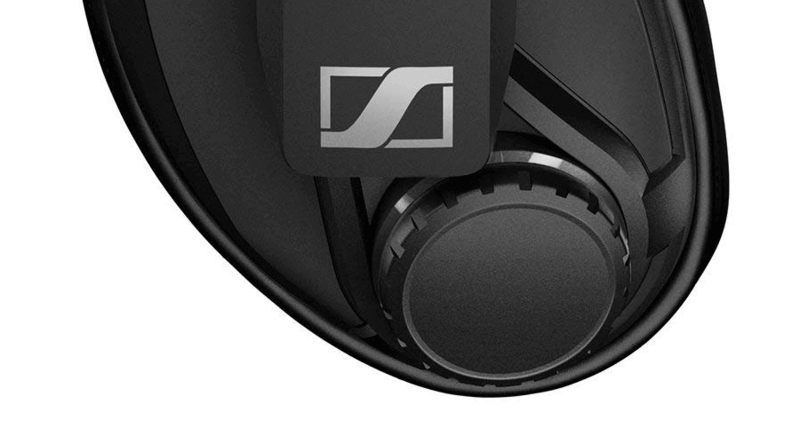 Sennheiser is known for their high-end, premium headphones. Their in-ear and over-ear headsets are mainly designed for audiophiles and are usually expensive. But the high price tag is equally justified by high-quality audio output, comfortability, unique design, and premium peripherals. Just last year Sennheiser realized that they need to refresh their gaming series and so they introduced two new models. They where Sennheiser GSP 300 and GSP 350. Both of them are really affordable and comes with a very sophisticated design. Now, when I first saw this new lineup, I was so ecstatic that I just couldn’t resist. Actually, I was just fed up with my HyperX Cloud Stinger and wanted a refresh. So, I just listened to my soul and bought GSP 300 for myself. Based on my personal experience I can tell you one thing very confidently, in my opinion, this is by far the best gaming headset under $100. Apparently, there are dozens of other competitors, but when it comes to audio quality, no one stands a chance to win. I will be focusing on five important factors in this review. Those factors are the microphone, noise isolation, comfort, build quality, and sound quality. I have to say that I am totally blown way. It is absolutely incredible. The entire headset is aimed for the gaming experience. It produces an excellent bass, but it is not super deep. It has been tailored to ensure that your ears are comfortable so they can be used for extended time periods. It also works great for music. There is a nice pace to the audio output. They might not be super punchy and super deep, but that is the way I like listening to the majority of my playlist. I would have personally preferred a bit more depth, however, the audio output and sound quality overall is very precise. You are able to hear each detail possible in your game. To test the headset’s audio output, I plugged it into my system and put on Need For Speed 2018. After playing continuous gaming for three hours, I can honestly say it was definitely a completely new experience for me. I don’t even have the words to fully describe the experience that I had. I have never before experienced this type of sound quality from a headphone that costs less than $100. When driving my car near the trees, I could hear the sounds of the leaves. I could listen to sparks and water splash. I never before experienced these types of details from my HyperX Cloud Stinger, and that is more expensive than this headset. Another thing I need to point out is it does not bleed into the mids. Also, its overall sound output is quite precise and structured. One thing to note is the headset does not offer virtual 7.1 surround sound effects. However, the Sennheiser GSP 350 upgrade model does. That is something that I only discovered after purchasing the headset. However, I don’t regret buying it. The headphone already provides a better sound quality than I have ever experienced. It has a frequency response range of 15,000Hz up to 26,000Hz. In addition, it has a 19 Ohms impedance and provides a 113 dB sound pressure level. The GSP 300, as can be expected from Sennheiser, comes with a rigid body and a complex visual design . The GSP gaming series, unlike other models of headphones, has a design that is specifically tailored for gamers. The entire body is made out of high-quality black plastic. Its plastic body helps to ensure the headset is lightweight without the rigidness being compromised. There are some areas (top part of the headband holder) that feature a grey accent. Personally, I think that was a smart move. The mic features two blue stripes to help the entire design really stand out. Its flexibility is something I am very impressed with. I tested it out, and nearly twisted the entire body but was unable to find a single crack or stretch mark. That is very impressive since usually plastic gets whitish marks whenever you twist or bend them. Also, the headband is solidly built. It comes with a double wide plastic strip and nice foam padding. 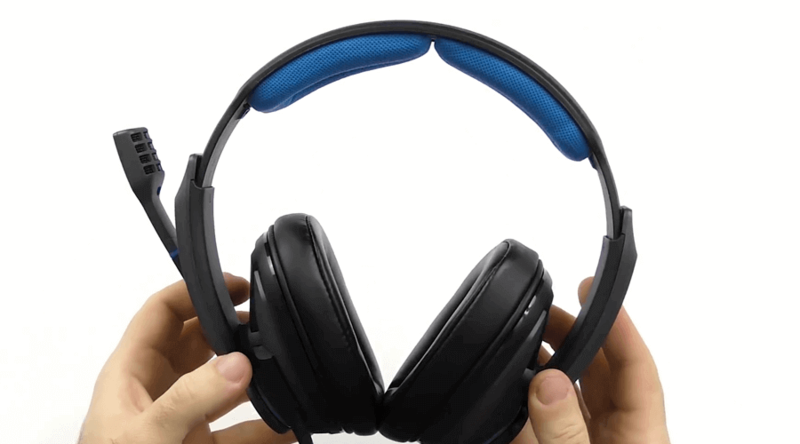 The headband strips have size-adjustable steps that are solid and help with keeping the ear pads in the proper position. 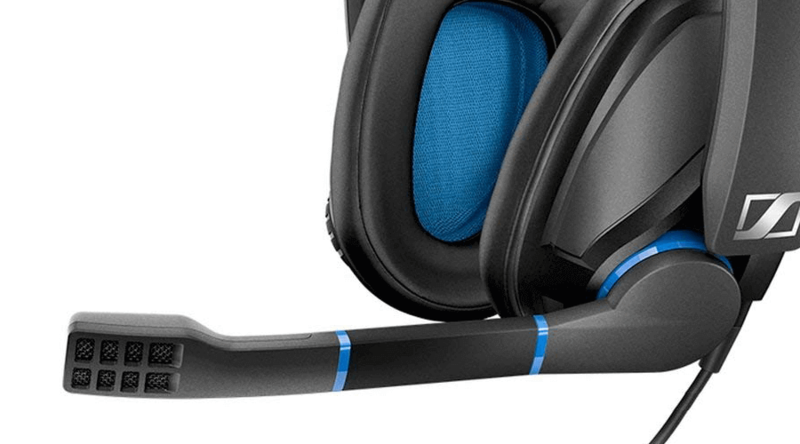 The lightweight frame and overall clamping force make this gaming headset very comfortable. The headbands are adjustable and very comfortable. The padding is quite soft and whenever you are wearing the headphone it will feel as if you are not wearing anything on your head. That is how I felt, at least. At first, I was thinking the foam padding was not sitting on top of my head correctly. So, I looked in the mirror to check. It turns out I was wrong. Actually the headband fit perfectly, but I didn’t even feel anything due to its lightweight frame. The ear pads are very comfortable and cling softly to your ears. Memory foam is used for padding them and even after using them for hours, you won’t ever feel uncomfortable. I played the game Need for Speed Payback for my test for nearly 3 hours and my ears still were not sweaty. 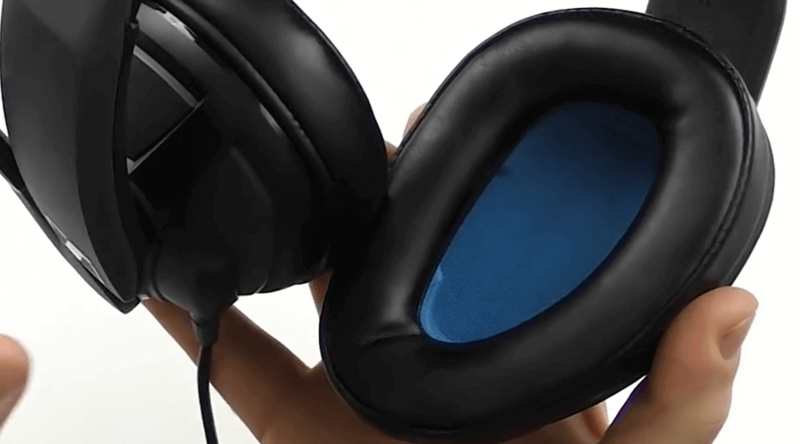 After you wear the headphones it will feel like the ear pads engulf your ears and you won’t feel anything else. It also blocks out a majority of outside noise since a closed-back design approach is followed by this headset. Its acoustic isolation is one of this budget gaming headphone’s most impressive features. There are different elements contributing to noise isolation. The first one is the truly excellent leather-like padding. It is comfortable soft, and even after using it for prolonged periods of time, your ears will not get even one drop of sweat. The second one is the angle structures that has been especially crafted to better fit the ears. The Sennheiser GSP 300 has harnessed the power of those two design approaches to provide amazing sound isolation. The microphone quality is great. It has a noise-cancelling microphone, which for me is a big plus point. When you are typing on your keyboard, it will not be highly audible since the microphone attempts to cancel all of the noise out, but your own voice that are you are recording will rarely get a bit muffled. I used Dragon Naturally Speaking 13 software to test it, and I have to say it worked very well without me needing to reconfigure my profile settings. One thing that is important to understand is that the recording quality of the mic will depend a great deal on your motherboard as well as the sound card that is attached to it. Therefore, your mileage might vary depending on what motherboard or sound car you are plugging into. I tested it out using my custom PC that has an Asus Prime Z370-A and its microphone detail was a lot better than the system that has a Gigabyte Z370 HD3 motherboard. There are many more background hits on the sound that is recorded on a computer system that has a Z370 HD3. The microphone isn’t flexible, so that is the only drawback. If you would like to boost the sound through moving the microphone closer to your mouth, you can’t do that. The right side of the ear pad has a volume wheel that I really love. There is slight resistance to the wheel and it feels a lot better compared with the volume wheels that are on the other Sennheiser game series headsets. The built in staple mic mute function is another cool feature. If you would like to mute the mic all you need to do is just rotate it. The movement is also accompanied by an audible and physical click. It is a lot more convenient overall than the buttons that are on the in-line remotes. When it comes to the cable, the headphone has a 2-meter cable that is attached to it. There is also a combo jack connector just in case there is no separate port and mic on your system. 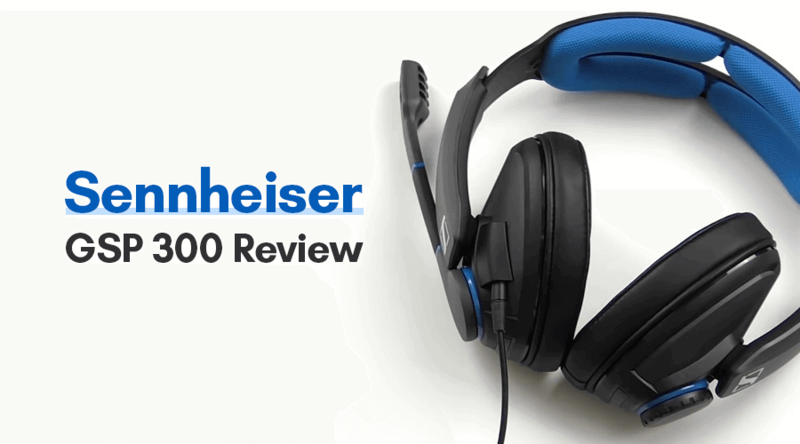 The Sennheiser GSP 300 is undoubtedly the perfect budget gaming headphone. It provides excellent noise cancellation, comfort, and a super clear microphone with less volume pickup. If you are looking for a budget-friendly gaming headphone then look no further than Sennheiser GSP 300.